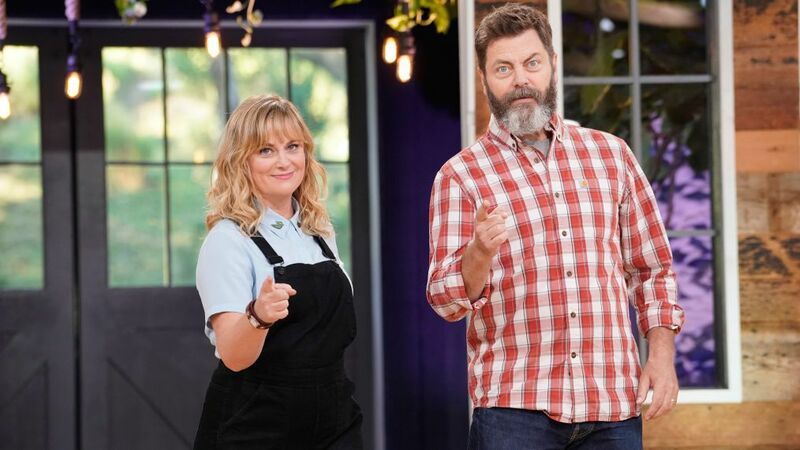 It’s certainly fitting that during TV Guide Magazine’s interview with Amy Poehler and Nick Offerman about their new reality series, Making It, the former Parks and Recreation stars are in the midst of making stuff. Offerman, a skilled woodworker, is building a ukulele, while Poehler — who, by her own admission, is not particularly handy — is, well, making plans with friends. "I’m trying to get a Parks and Rec [reunion] dinner going," she says. The good pals took a break from their respective activities to reveal more about hosting the series, which features eight creative types constructing handmade items in hopes of snagging a $100,000 prize. They cracked us up in the process. Amy, you’ve said you’re not a crafty person. So why do a show like this? Amy Poehler: I love watching people making art, and Nick and I both have a soft spot for peeking behind the curtain of any process. We wanted to do something in the unscripted world that felt like it was creating and not destroying. Did you two develop the idea together? 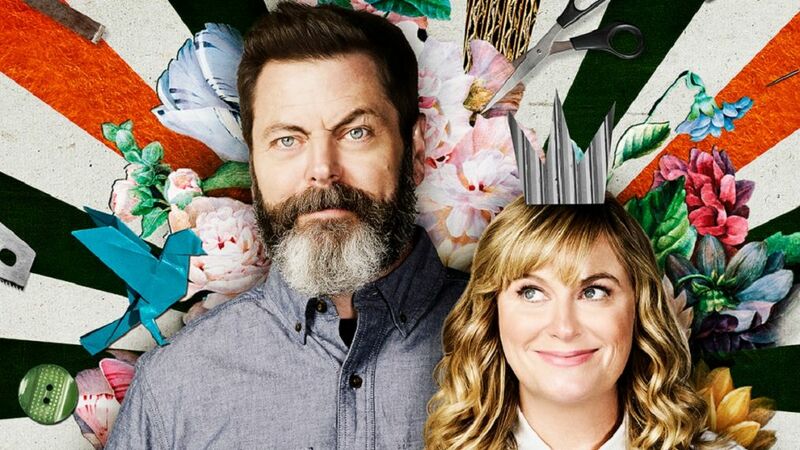 Nick Offerman: The show was very much the creation of Amy and the powerful cadre of ladies that she makes entertainment with [at her production company, Paper Kite]. And they said to her, 'You’re funny and fast and witty. Who would be a good complement to that? Preferably somebody who can use a utility knife.' And I got the call. Poehler: When the aliens attack, when the apocalypse happens, there are only a few actors who will survive. He is one of them. Nick, did you say yes immediately? Offerman: Amy took me to a meeting of breakfast foods and I don’t believe there were any negotiations. [Laughs] 'That sounds really fun. Count me in.' The breakfast definitely softened me up. Poehler: I slipped something in his eggs. You’ve hired style and design expert Simon Doonan and Etsy’s Dayna Isom Johnson as the judges. Neither of you wanted that job? Poehler: No. We just get to walk around together and revel in all the great stuff that gets made! Offerman: Even though I can make a lot of things and have done so, much of the genius we experienced on the show was outside of my realm of knowledge. I rarely felt like I would want to weigh in. Amy and I often commented how grateful we were for the judges for freeing us up to be cheerleaders and adoring onlookers. Was there anything the contestants created that you wanted to take home? Poehler: There were some practical things like Halloween costumes and outdoor seating. So many beautiful things I wish I could have quietly put in the trunk of my car. 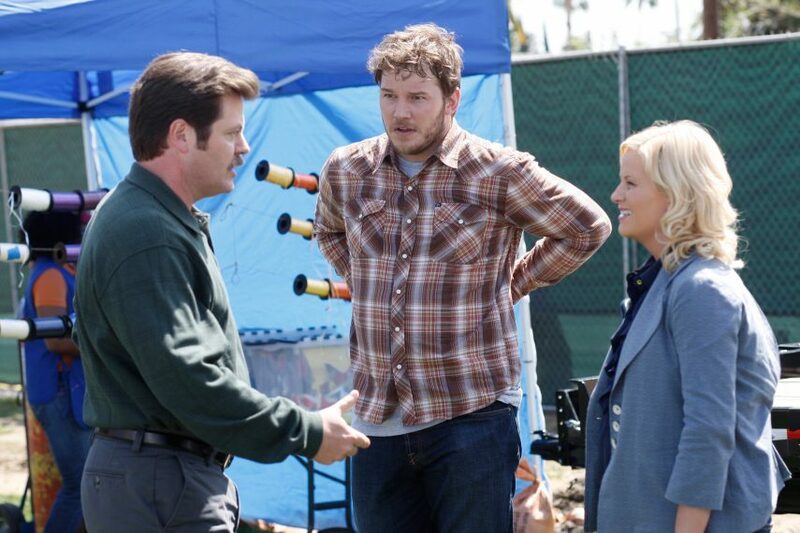 Offerman with Chris Pratt and Poehler in Parks and Recreation. Did participating in this show awaken a new creative passion in either of you? Poehler: It did inspire me to spend more time doing something with my hands. A handmade gift is so special. It really, really means that someone put down their phone for you, which is the ultimate form of love. Offerman: I was inspired by [the contestants’] creativity, but much like knitting or glassblowing and things I’d love to try my hand at, they just join the list of things I’ll try someday if I ever get done making things out of wood, which I never will. 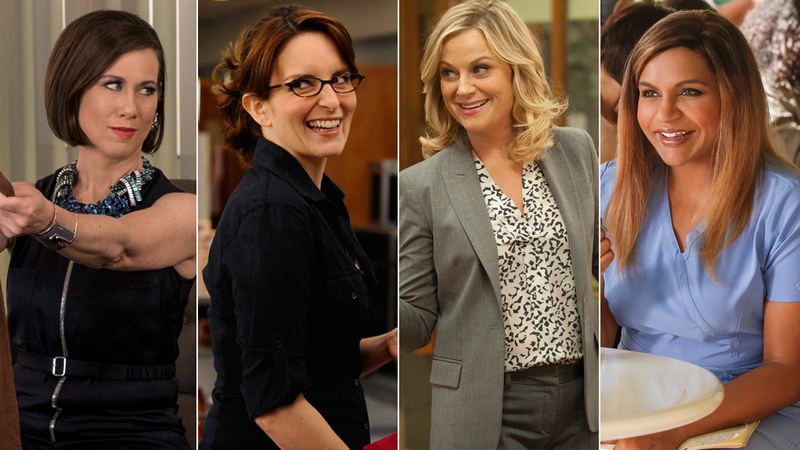 With revivals and reboots all the rage, are you guys up for another round of your 2009–15 comedy Parks and Recreation? Poehler: Nick and I are in! That experience was once-in-a-lifetime. And we’ve all worked long enough to know how special it is to get to work with people who are so talented and also so kind and wonderful and your friends. So the excuse to be together and have it be a job you get paid for — I think we’d all be thrilled to be given the opportunity. Offerman: You wanna get the team back together? I still got my mitt. And it’s freshly mink-oiled!